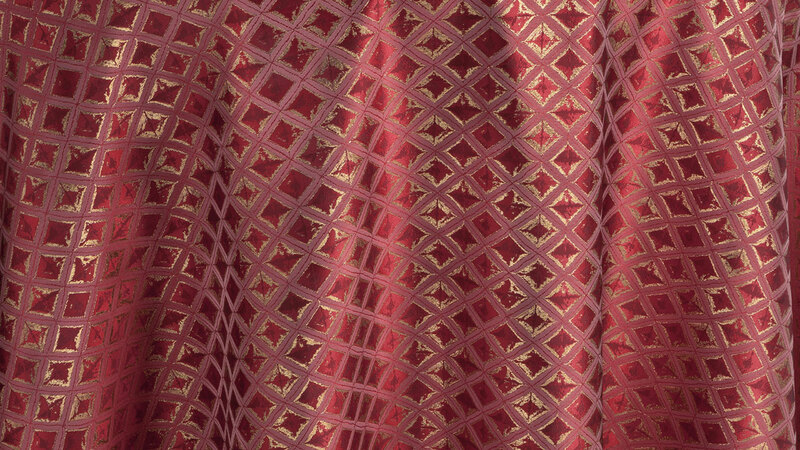 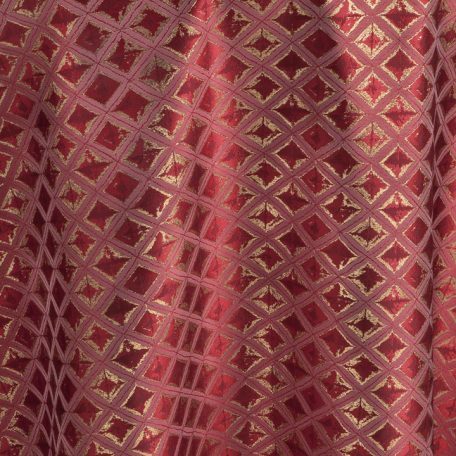 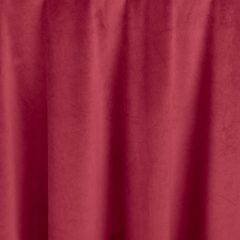 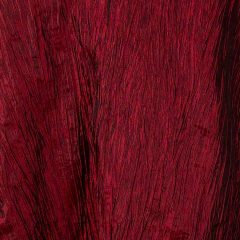 This linen is shades of red and metallic gold in a fashionable diamond pattern. 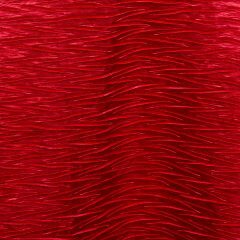 Like ribbons gilding a Christmas tree, Crimson Adorn brings the sights and feelings of the holidays to your event. 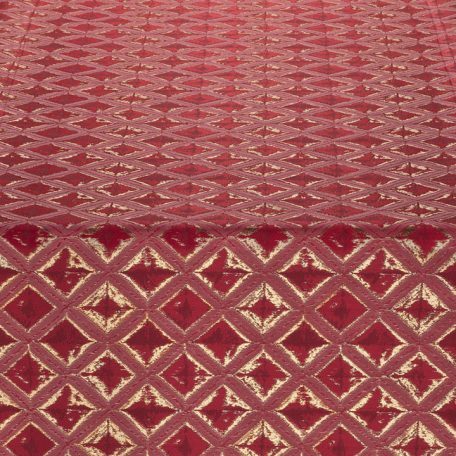 Rent it here along with other linens from our Winter Solstice Collection. 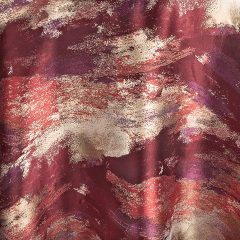 It’s slightly edgy, but its modernity is a large part of the appeal of?Scarlet Aurora Table Linen. 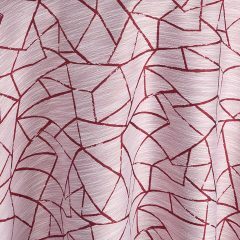 As part of the distinctive new selection of reds in the Fabulous Events Envie?Collection, this graphic pattern has a classy personality that sets it apart. 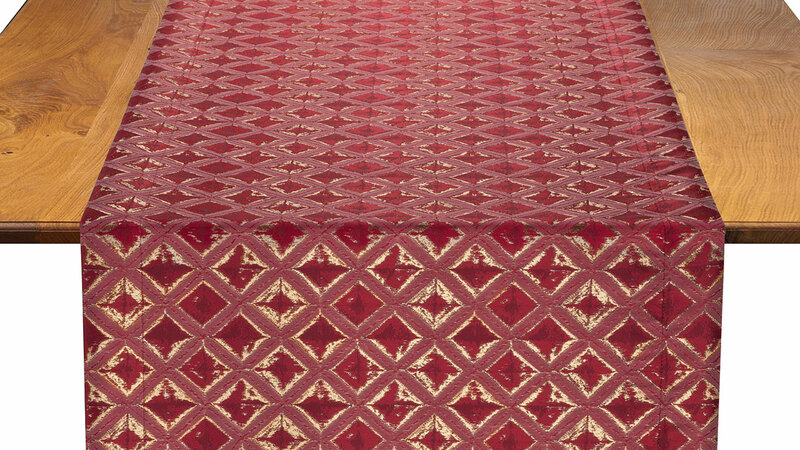 Use it to add a note of whimsy to any occasion, or layer it with harmonizing color and texture for a jazzy celebration!